Five Star combine experienced and well-established recruiting teams with the resources of FiveStar to supply our customers manpower necessities building long-term relationships. Five Star uses the most sophisticated software in terms of hcm. Through our network and database, we can quickly meet the demands of our customers need, anywhere in the world. We provide highly qualified and well trained, fully certified and ready to work. Our expertise is in manning drilling rigs! 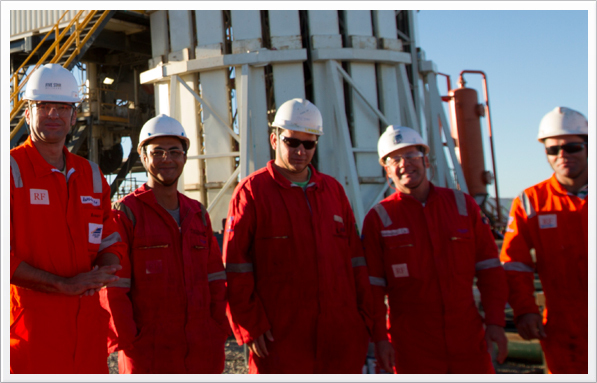 Five Star has successfully crewed up Drilling Rigs for International Drilling Contractors in Brazil! Through the years we have assisted the drilling contractors and IOC’s with material logistics and personnel logistics. Logistic support with Full Crew Change, beyond material logistics procurement support.